Last week, we kicked off a blog series on author newsletters with “Why You Absolutely, Positively Need an Author’s Newsletter“. If you missed it, check it out! You can also add your two cents about what you love and hate about author newsletters here. When I first decided to start an author newsletter, I had no idea what to talk about. I didn’t do author visits. I didn’t have any upcoming books to announce (yet!) and I didn’t have any classes to try to drum up business for. So what the heck would I put into a newsletter? 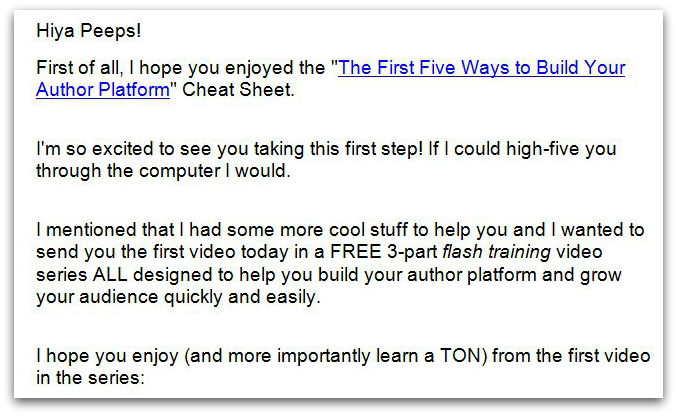 I decided that my first step would be to figure out what other authors put into their newsletters. I was already on several authors’ lists; I subscribed to a dozen more, eager to see what other authors–authors of all types–had to say, how they said it, and how often. The result? 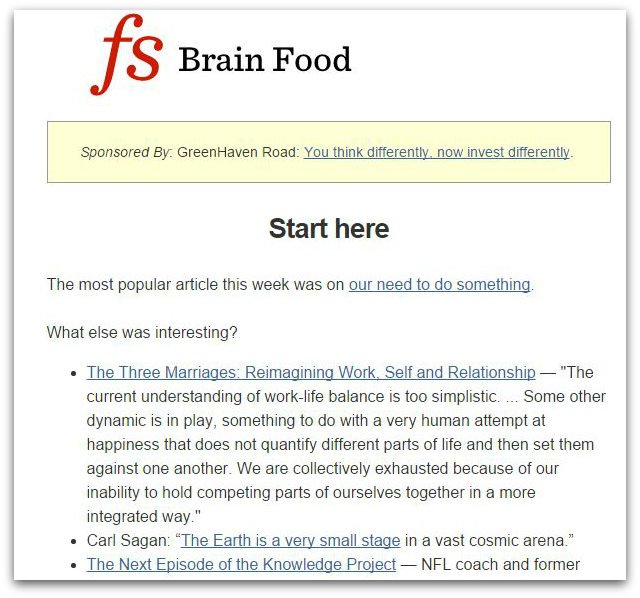 I found that most email newsletters fall into one of four content-based categories. Maybe it’s a stretch to call this a “section”, since it’s usually pretty short, but I think it’s worth pointing out because all the best author newsletters took time to make the reader feel so comfortable and casual, the author might have been sitting down with you at the local coffee shop to chat over a cup of java. Take-home: An author newsletter gives you an opportunity to make a more personal connection with your audience. Of course, that’s not really an author newsletter. This kind of news overview is tough to pull off if you’re a one-pony shop, but many authors use news items to round out their newsletters. Rather than attempting to cover all relevant news items, they highlight a few articles or blog posts they think their readers will find particularly helpful. Take-home: If you need content ideas for your newsletter, consider including links to news relevant to your readers. Of all the newsletters I read, hers gets the record for most-forwarded-to-Evernote-for-later-reference! 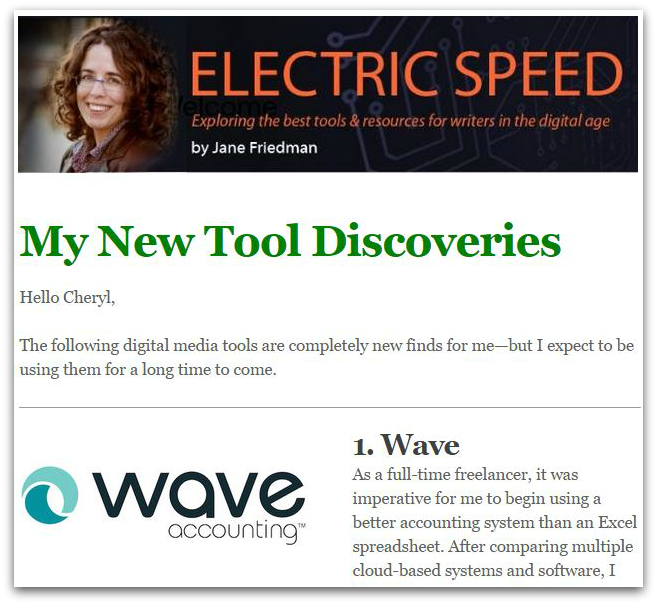 Take-home: Sharing tools and resources you’ve vetted is a great way to provide your readers with content they can use. Take-home: Short on time? 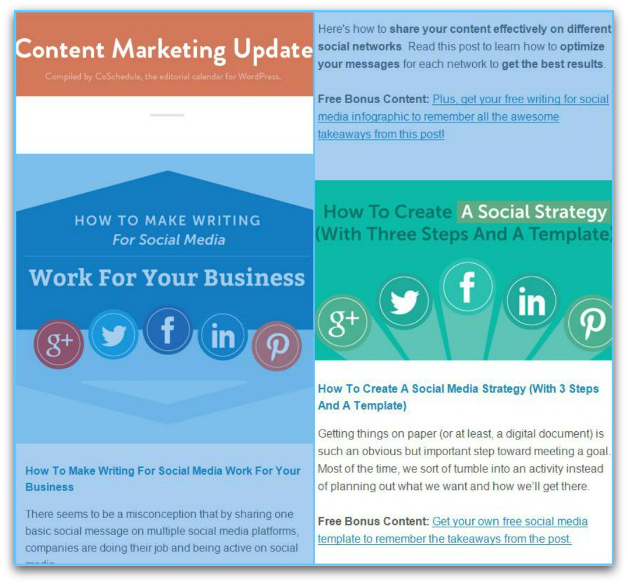 You can still create an author newsletter–with “recycled content”. 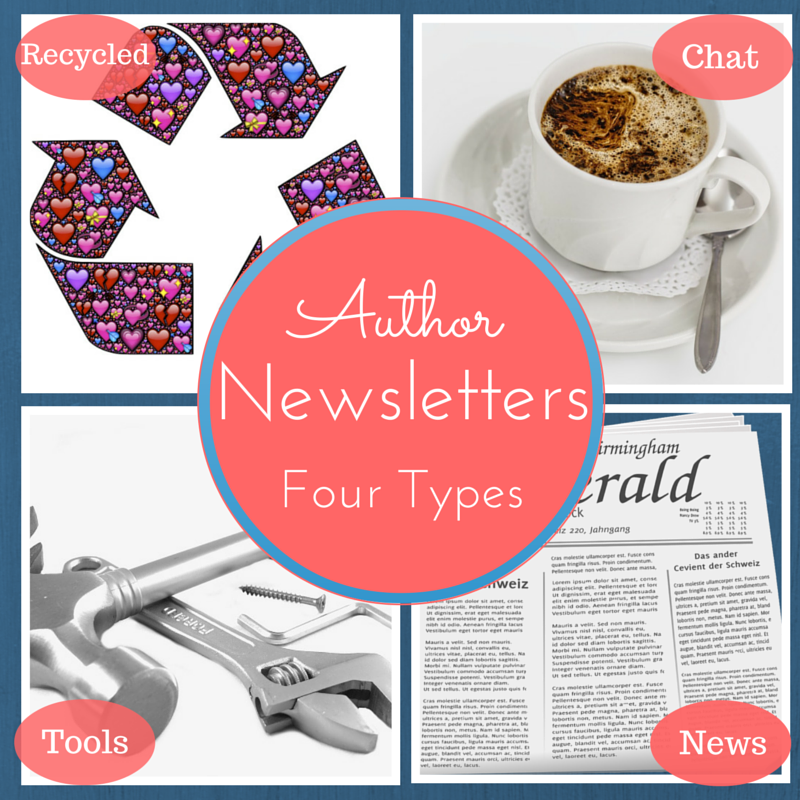 What’s YOUR Type of Author Newsletter? You’ve probably guessed by now that there are as many different types of author newsletter as there are authors. That’s because your newsletter will reflect YOU–your individual voice, style, and values. At the same time, good newsletters tend to have some things in common. A newsletter gives subscribers the opportunity to get to know you a little better. Let your voice show, whether by including a note to readers or in your tone as you introduce the different elements of your newsletter. A newsletter is also your opportunity to show subscribers how well you know them. Show readers that you understand their needs by including content that helps them to solve problems and makes their lives easier. Trying to come up with information your readers will find useful? 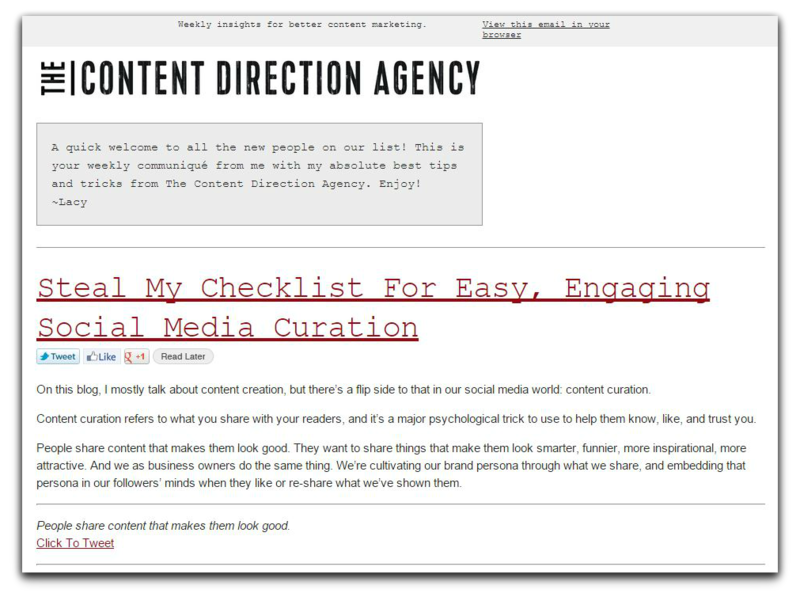 Consider adding a short list of insanely helpful tools, online resources, or article links from sites other than your own website. If you have a blog, your newsletter is a great way to make sure subscribers don’t miss any posts. Include post blurbs or excerpts to drive traffic back to your website. 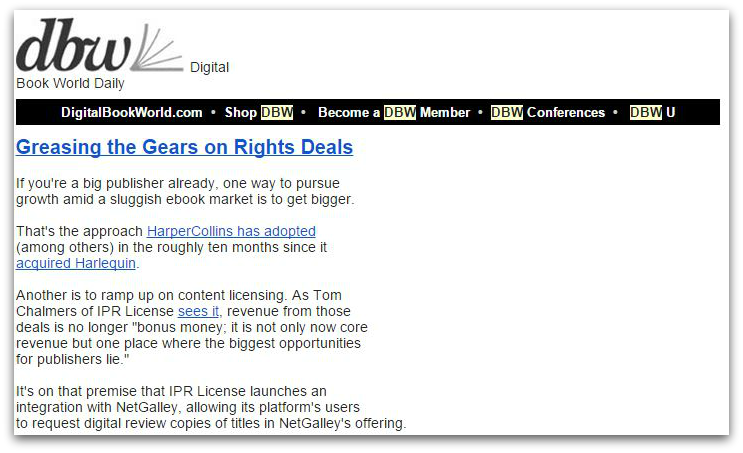 They have the added value of providing you with ready-made newsletter content. If you’re setting up an email newsletter–or if you’re looking to improve your current process–you won’t want to miss the resource list and how-to checklist I’m creating only for newsletter subscribers, available the end of this month. Sign up now to get on my list! One thing I’d like to share with your readers is that you don’t have to choose between the different kinds you list here. I don’t! In fact, I use a mix of all these types! You happen to receive one kind because of what you signed up for. Hope that helps your peeps! Thanks for stopping by and adding to the info :). I love knowing that you use different approaches in different situations–awesome tip! Awesome article, Cheryl! Loved your visuals. Thanks for sharing. Thanks for the shout out! I think it’s really important to consider what you want to get OUT of your newsletter from a business perspective.